If you live on the East Coast, in the Midwest, or—bless your soul—either of the Dakotas, February certainly isn’t the most forgiving of months. Luckily, all it takes to change the weather’s tune is a quick flight down south. 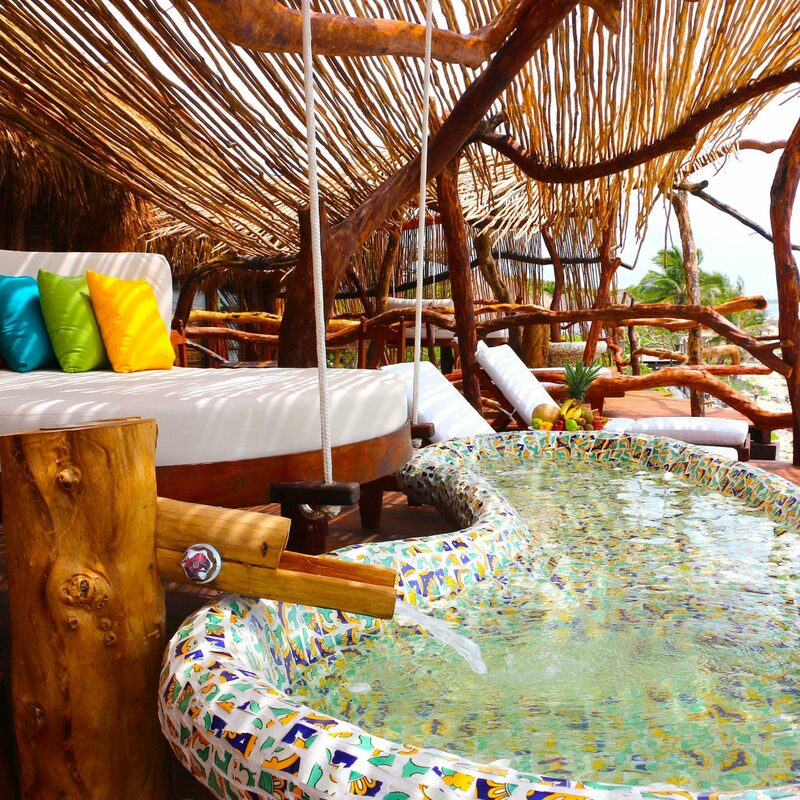 Whether you’re jonesing for some surfable waves or just a quiet shore and a palapa to lounge under, the beaches below will deliver. 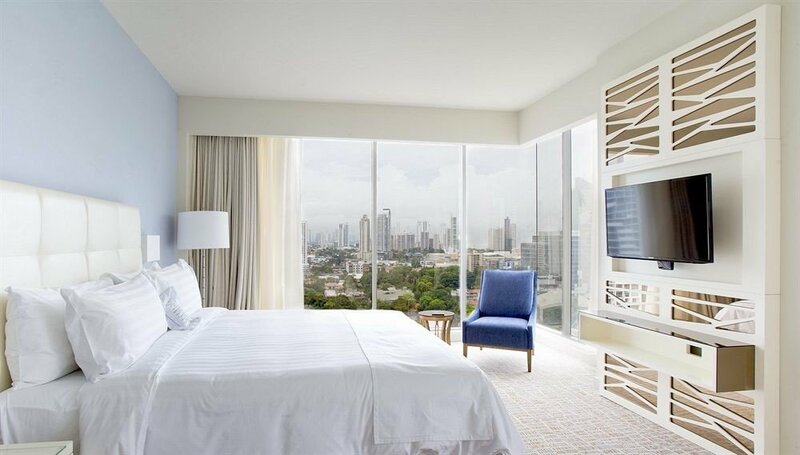 From domestic destinations like Florida and Hawaii to exotic locales like Belize and Palawan, here’s where to plan your beach getaway this February. With active volcanoes, verdant jungles, kaleidoscopic coral reefs, and a profusion of warm Pacific Ocean beaches, the 50th state is nothing short of paradise. 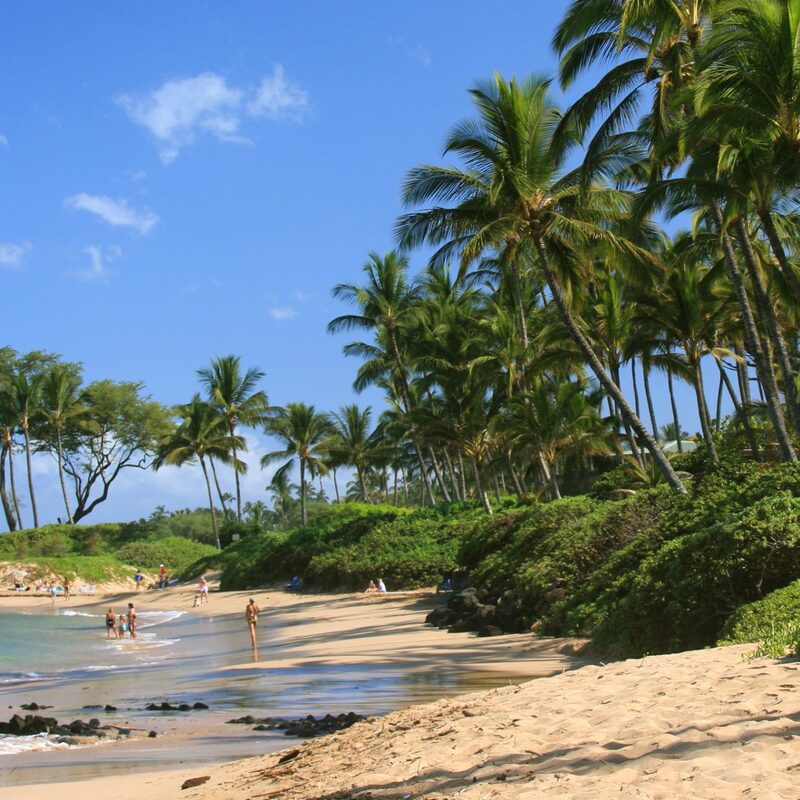 While the archipelago’s eight major islands offer many an adventurous pursuit, the island of Hawaii contains one of the state’s most stunning (and public) white sandy shores—Kauna’oa Beach (also known as Mauna Kea). 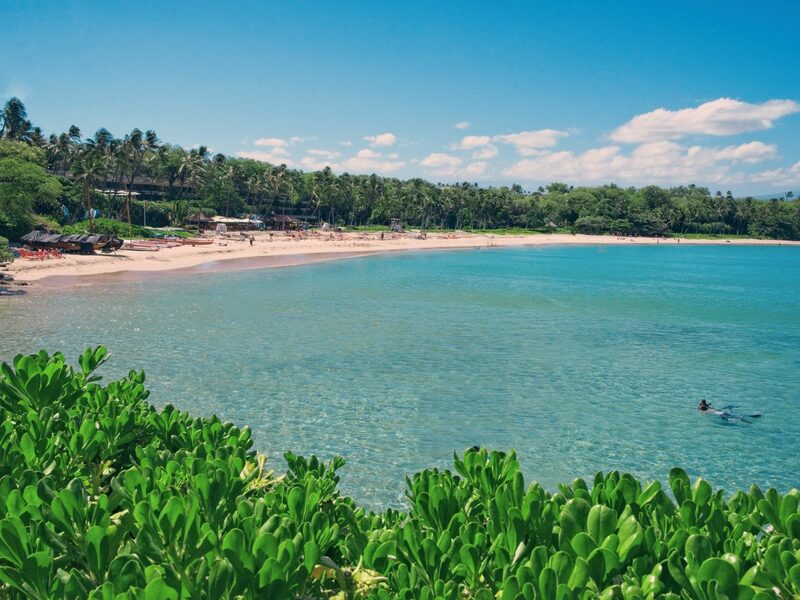 Set at the foot of the Mauna Kea Beach Hotel and stretching along the isle’s northwestern Kona Coast for more than half a mile, the gently sloping shore experiences calm waters nearly year-round. During the day, take advantage of 82°F surf by snorkeling the area’s two reefs; at night, floodlights from the hotel attract schools of plankton and friendly manta rays. When it’s time to tuck away for the night, head 30 minutes south to the Four Seasons Resort Hualalai, where breezy ocean-facing bungalows meet black lava fields, a Jack Nicklaus golf course, and a 28,000-square-foot spa. 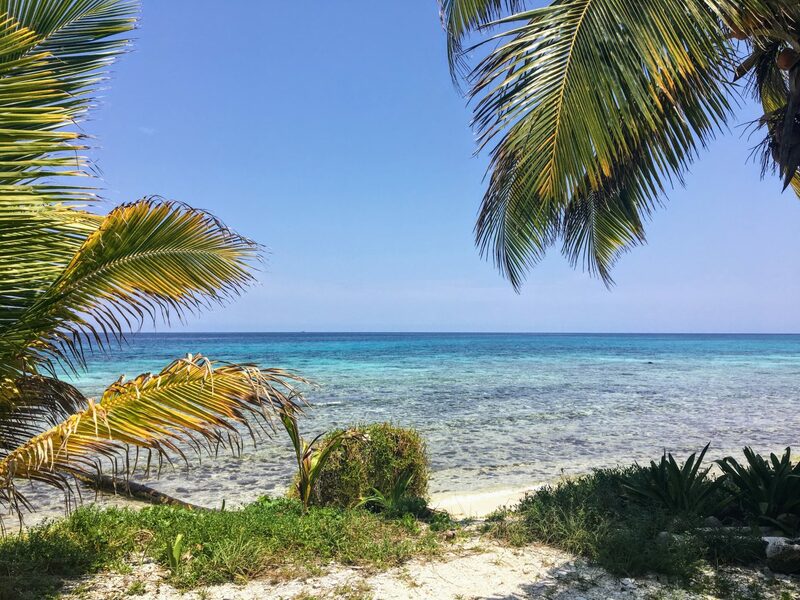 If you’re looking to put your passport to use, Laughingbird Caye National Park, off the coast of Placencia Village in mainland Belize, welcomes visitors with its diverse marine life, coastal mangrove thickets, and soft sands. Part of the Belize Barrier Reef Reserve System (the long sliver of island actually sits on a reef), snorkelers and scuba divers will find plenty to do here. In February, sea temps hover around 80°F, so you’ll stay toasty while searching for loggerhead turtles, hammerhead sharks, barracudas, and more. When it’s time to take a breather, beach-bound hammocks are ideal for sunny midday naps. While Laughingbird Caye is strictly a day trip (you can’t sleep on the island), nearby Naïa Resort and Spa, a 19-acre beachfront complex on the Placencia Peninsula, means you can make the trip multiple times. First thing’s first: when you land in Byron Beach, make a beeline for 28 Degrees, a luxe, eco-conscious cottage just blocks from the city’s best bars, cafés, and boutiques. While you can feel the lick of salty ocean air from the property’s back deck, it’s worth passing nearby beaches and making the 30-minute trek north straight to Wategos Beach. There, bottlenose dolphins soar through sheltered turquoise surf and picnickers sprawl out on the sun-warmed sands. At 80°F, the water is warm enough to splash around in, while wide and shallow waves mean kids can boogie-board for hours. 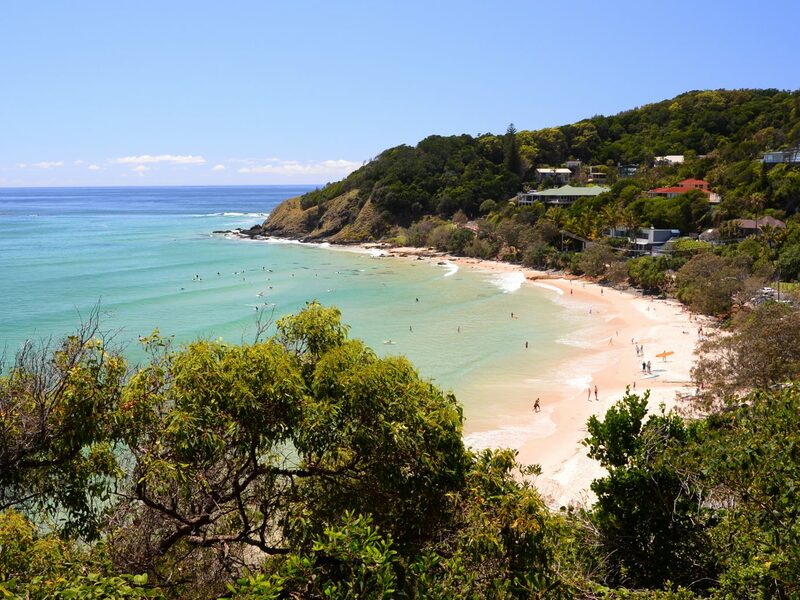 Be sure to pack a cooler to take advantage of the free beach barbecues as well as save time for a hike up the Cape Byron Lighthouse—the easternmost point of mainland Australia that lies at the end of the shore. When it comes to Cape Town’s posh Camps Bay Beach, the appeal doesn’t lie just in surf or sand. 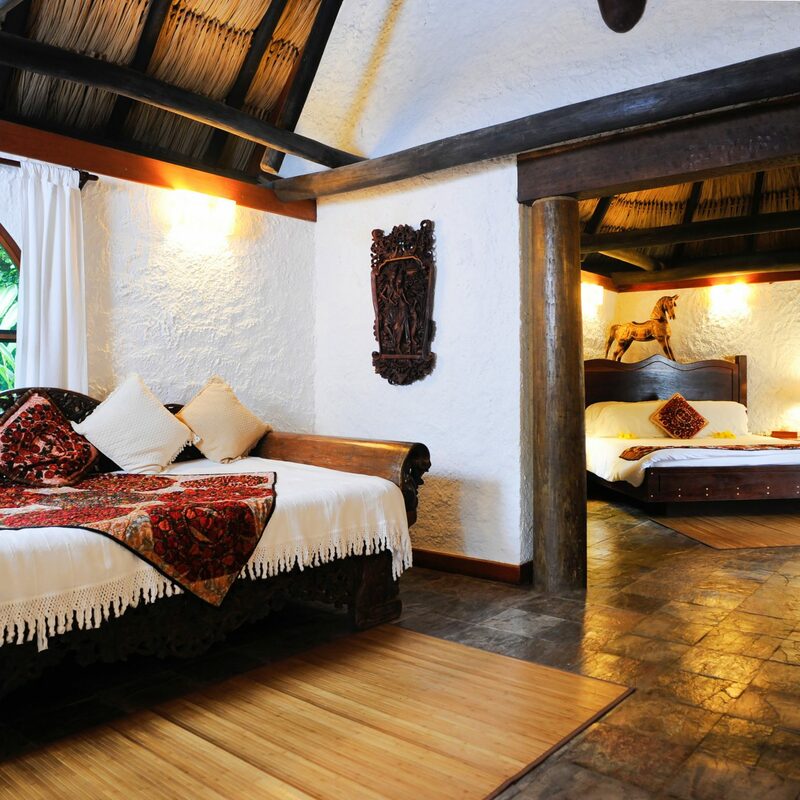 Situated at the foot of the Twelve Apostles and adjacent to Table Mountain and Lion’s Head, this is about as dramatic as beach vistas come. 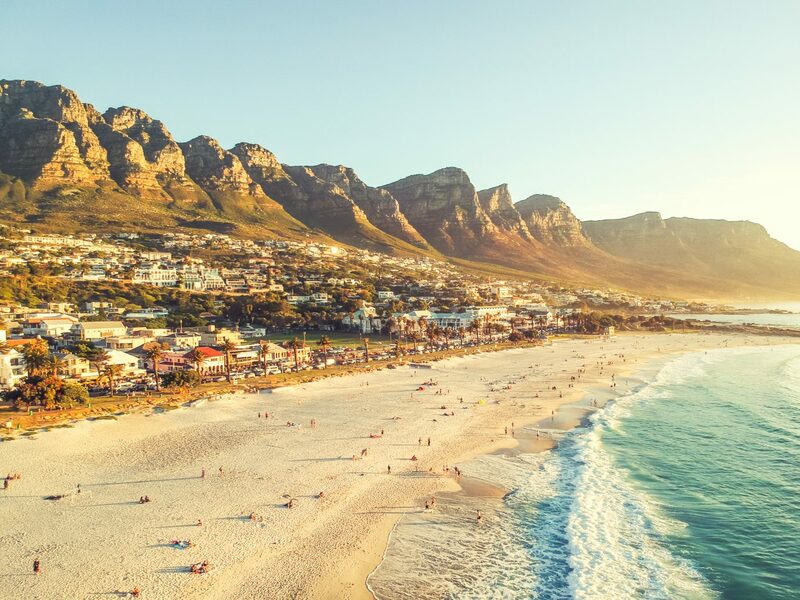 While visitors travel the world over to enjoy Camps Bay’s soft white sand, swaying palms, and cool Atlantic waters, the chic enclave also attracts celebs—think Leonardo DiCaprio, Zac Efron, Oprah, and Elton John—with its tony cocktail bars, swanky boutiques, and sophisticated seafood spots. 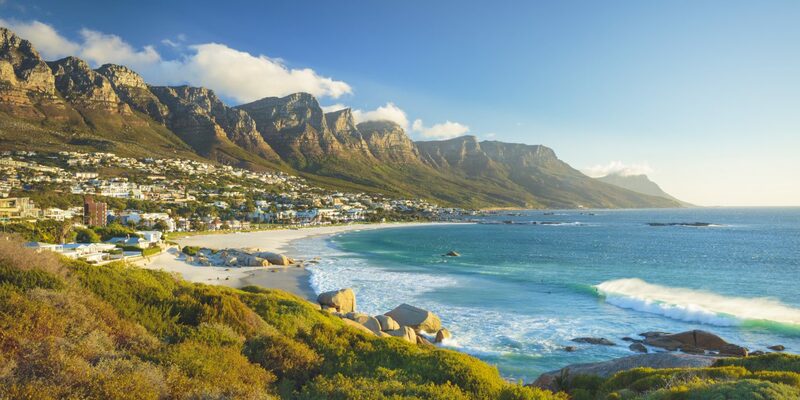 If you don’t run into your fave A-lister on the boulder-studded beach, you can try your luck at nearby hotspots like the Belmond Mount Nelson Hotel or waterfront hangout Café Caprice. 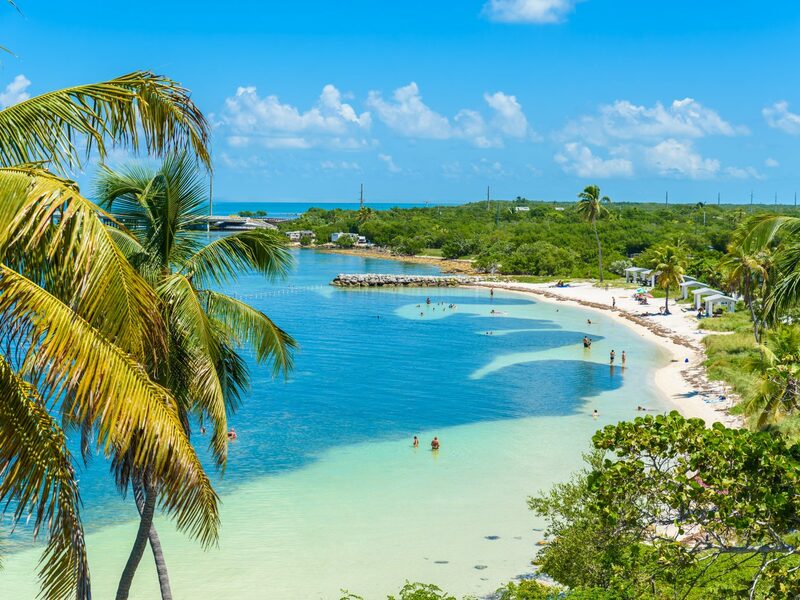 Situated about 30 miles north of Key West (the southernmost Florida Key), Big Pine Key is an outdoorsman’s dream with ample opportunity for scuba diving, snorkeling, boating, and fishing. Tucked inside Bahia Honda State Park, sheltered Calusa Beach is ideal for families thanks to its calm surf, plenty of picnic space, a nature center, and February waters that hang around 73°F. When you’re done checking out the reefs, it’s worth making the trip to nearby National Key Deer Refuge—a 9,200-acre swath of protected forest and wetland where 16 endangered species including the Key Deer (the tiniest of the white-tailed deer) roam. 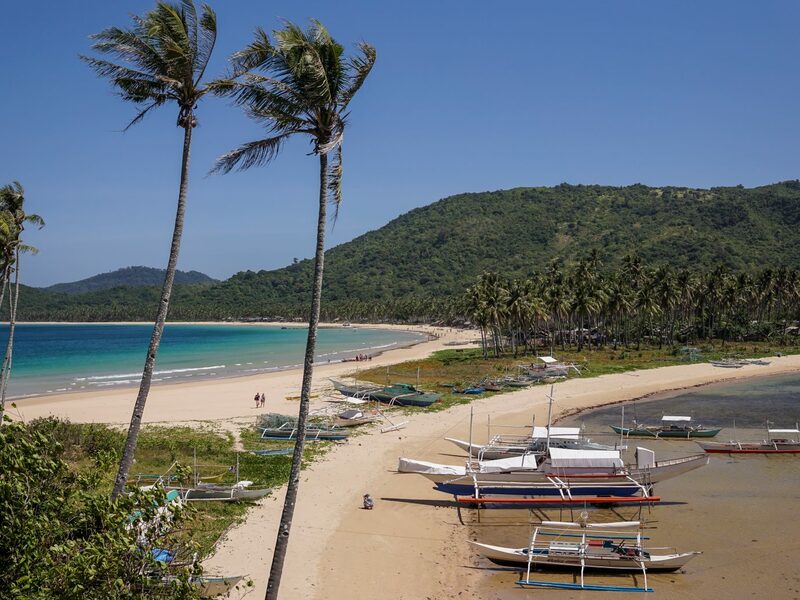 If you follow your fair share of IG influencers, you’ve likely stopped scrolling your feed—more than once—to ogle the idyllic beaches of El Nido, a district in the northernmost reaches of the island of Palawan. About 45 minutes out of town lies serene Nacpan Beach, which can be reached by motorbike or shuttle. The bumpy journey is worth the ride: the 2.5-mile ivory stretch hugs the South China Sea in a show of towering palm trees and rustic thatched huts where locals serve up fresh seafood. Whether you’re snorkeling, swimming, or just dipping your toes between sunbathing sessions, you’ll find February’s 78°F water temps just right. Best of all, this location is a two-for-one deal: at the southwestern tip of the beach, the equally unspoiled Calitang Beach unfurls. Be sure to climb the grassy knoll where the two powdery beaches meet; the viewpoint is the perfect spot to grab your own IG shot. 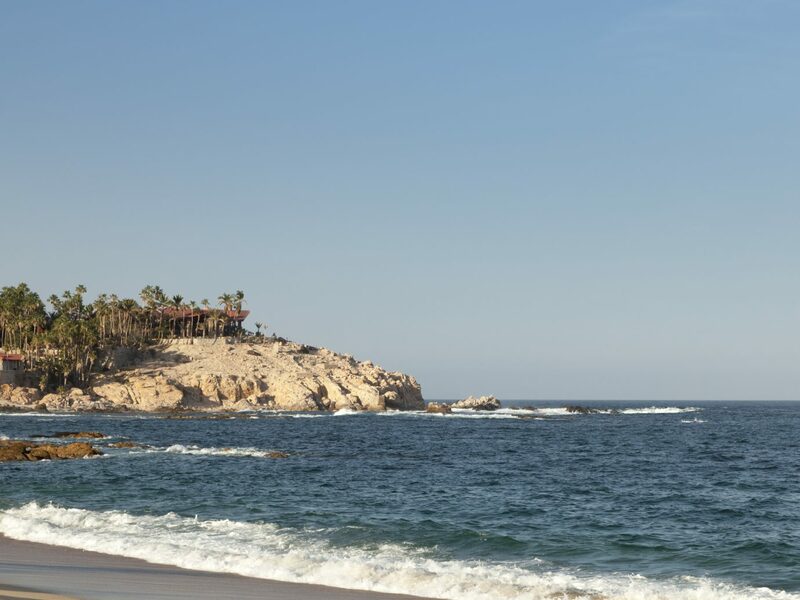 If you’ve ever been to Los Cabos, you'll know that the Tourist Corridor— a 20-mile stretch of shore that runs from San Jose del Cabo to Cabo San Lucas—isn’t known for its swimmable beaches. That’s exactly what makes Playa Chileno such a treat. A 20-minute detour from the Corridor’s regular culprits, the calm, shallow beach is a hit with local snorkelers. While rocky, shoreside outcrops collect urchins, sea sponges, and starfish, follow the reefs underwater and you’ll find moray eels, turtles, and plenty of tropical fish. Since February falls smack dab in the middle of humpback whale migration season (November through April), you may even hear their calls underwater. For easy access to the beach, stay down the road at Chileno Bay Resort & Residences, an airy, contemporary property whose three-tiered pool features uninterrupted Sea of Cortez views. If you’re after strong surf and not just secluded white shores, consider Costa Rica’s Playa Grande. 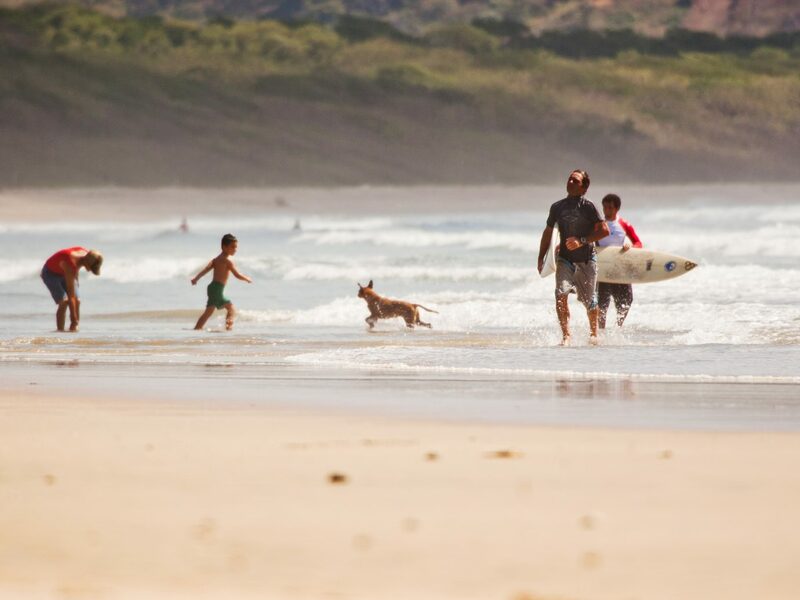 Part of the Marino Las Baulas National Park in the Guanacaste province, the beach attracts surfers of every level and from all around the globe with its year-round south swells. If your crew includes non-surfers, they’ll also find plenty to see and do. As one of the most important leatherback turtle nesting sites, you can book a nighttime tour to witness the creatures come ashore and lay their eggs (the season runs October to March). You can also explore the nearby estuary, which divides Playa Grande from Tamarindo town. Keep on the lookout for howler monkeys, American crocodiles, and herons. 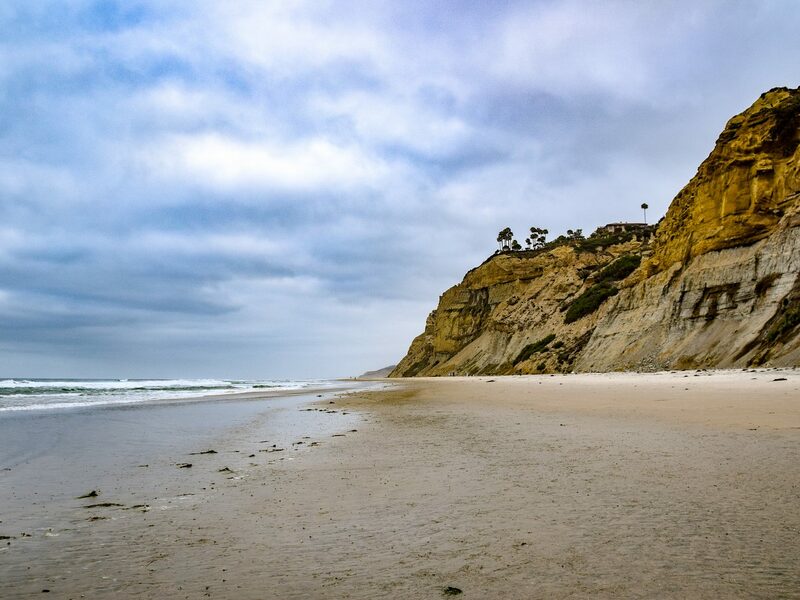 With February temperatures hovering in the mid-60s, it may not be warm enough to swim in La Jolla, but that doesn’t mean you can’t enjoy the rugged, rocky coast. Just beneath the bluffs of Torrey Pines, Black’s Beach harbors some notoriously strong swells (and a clothing-optional crowd come summer). Even if you’re not wriggling into a wetsuit to conquer the waves, you can take to one of the beach’s hiking paths like the short (but seriously strenuous) Ho Chi Minh Trail. When it’s time to retire, head for the Lodge at Torrey Pines, an architectural masterpiece done up in California Craftsman style that sits between La Jolla’s best beaches and the Torrey Pines State Reserve.